Cab interior parts can make a big difference in noise and in-cab working conditions. New headliners, dash panel moldings and floor mats can add tremendous value to your tractor and keep the "field office" more attractive and comfortable at the same time. Fehr Cab Interiors has made parts for Steiger, Versatile, Massey Ferguson, Hiniker and others for some time, and now is offering upgrades for John Deere 8100, 7200 and 6400 Series tractors. The kits from Fehr help make the cab quieter and cleaner by renewing the acoustical foams that deteriorate after 10 or more years. Upgrading the cab is also a good way to boost the value of an older tractor – sometimes by up to $2000, say Fehr officials. New cab parts from Fehr Cab Interiors can refurbish the interior of your John Deere 8100, 7200 and 6400 Series equipment. Other kits are available for Steiger, Versatile, Massey Ferguson, Hiniker and Year-A-Round QT-1 cabs. Do-it-yourself kits come with pre-cut, pre-sewn panels and super bond adhesive, along with instructions and diagrams. 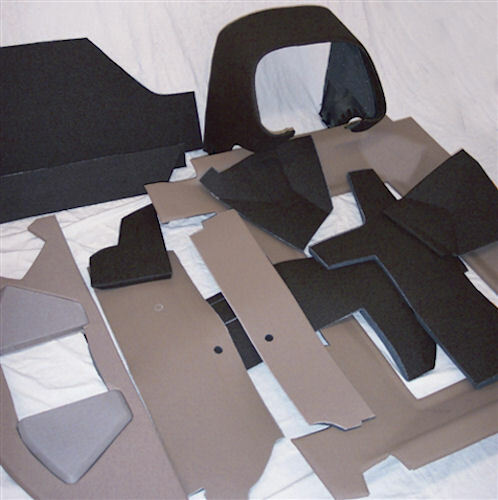 Fehr Cab Interiors also makes pre-molded panels with foam vacuum-formed onto the parts, and can custom build any cab part using original panels as patterns. For more information, call (815) 692-3355 or visit www.fehrcab.com.